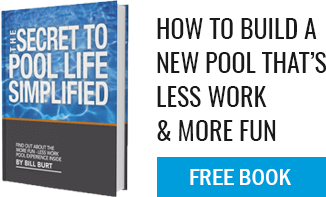 Can gunite pools be salt-water pools? A “salt water pool” is still a chlorine pool. By using electrolysis, the salt is turned into chlorine. People who have this type of sanitizer on their pools appreciate the convenience of not handling the chlorine and the smooth feel of the water. But it is still a chlorine pool and all the other chemical testing and additions are still required.